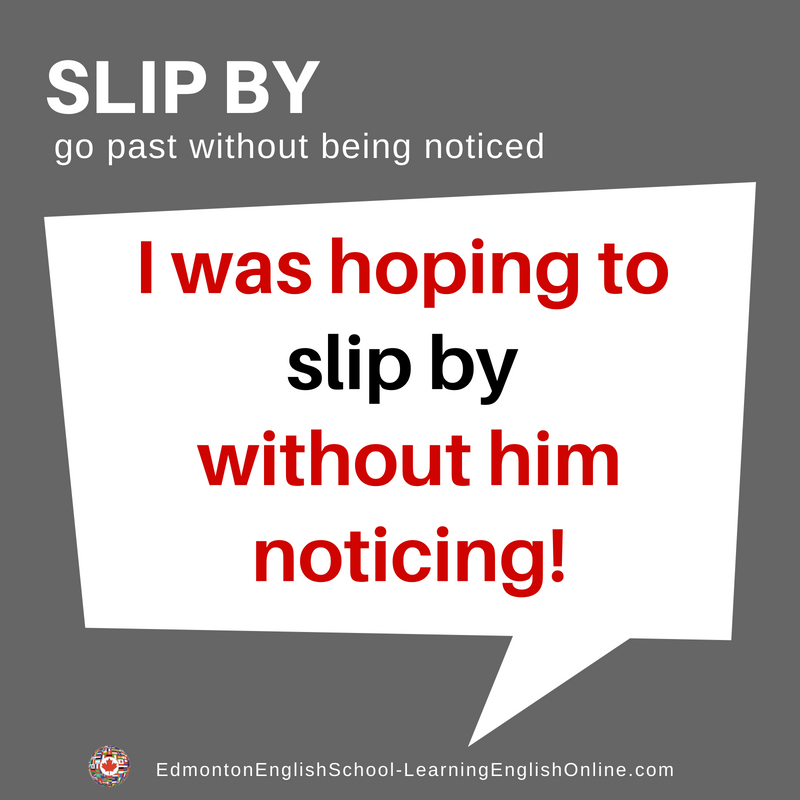 What is the Meaning of SLIP BY? 1. I was hoping to slip the receipt for my new shoes by you. 2. Unfortunately, I let that opportunity slip by me. 3. The evening has slipped by quickly. Thank you for such a nice time.